here's another heli that has caught my attention in the past month. Since my starting work on FGUK's Gazelle, I have been thinking about adapting another helicopter for FlightGear. The fellows at FGUK are all good sorts but they have a fixation on military heli's and I've wanted to make another civilian use helicopter. I present the Aerospatiale 315B Lama. 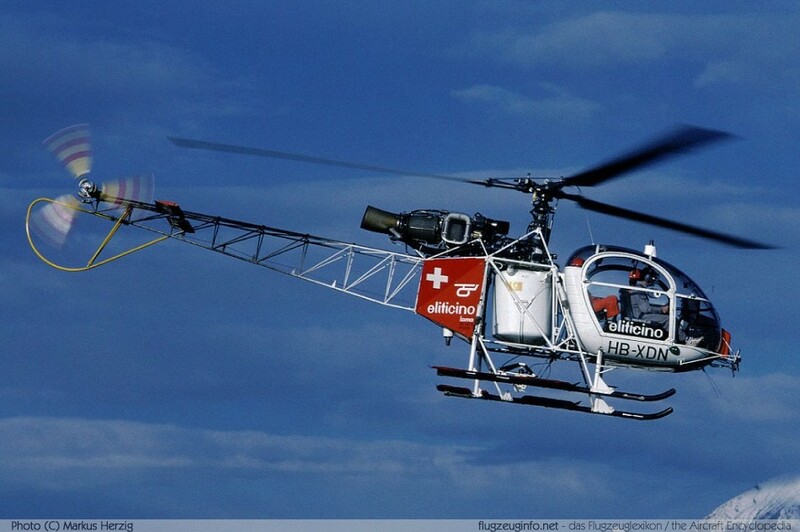 This helicopter is the workhorse of the Swiss for getting people and things to remote and mountainous areas and for rescue of skiers and climbers. It holds the world's record for altitude, over 10,000 meters and the worlds longest autorotation when the record attempting heli's motor flamed out. here is a nice video of a working Lama..
it's a very good idea !!! Greetings Georges. Well my French is worse, I spent my time in France many years ago barely able to speak even a few phrases. Amazing video, I'm assuming that Bernd is not Swiss, Dutch maybe? At any rate his flying skill is great. I have tried to do Stall Turns and Hammerhead Stalls in the Gazelle and I usually end up crashing. What annoys me is the crowd's obvious disinterest in Bernd's show, I guess heli aerobatics is passe? Malgré son nom à consonance néerlandaise B. van Doornick est Suisse. Despite his Dutch-sounding name B. van Doornick is Swiss. » MELCHISEDECH, MYSTERE ET LAMA !! !